Here is one of the many great characters we met over the weekend at the FA People's Cup first round. 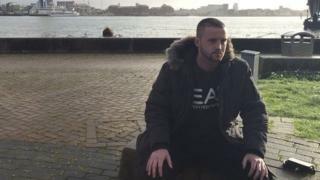 Liam Doyle, a 21-year-old who refers to himself as 'Shakespeare's Understudy' and played for team Pentagon in Portsmouth, has come from a troubled past - but thanks football for keeping him on a straight path. You can still watch the highlights programme from the FA People's Cup finals day on the iPlayer.